Pressure drop in a piping system is often a concern of the designer. 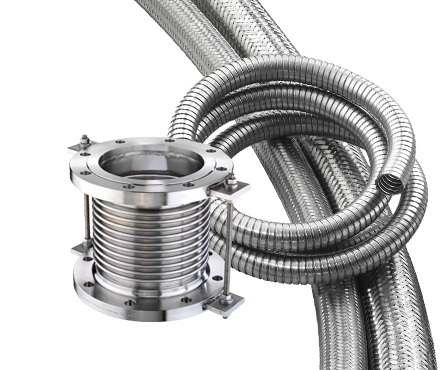 Compared to rigid pipe, there is always a greater pressure drop in corrugated metal hose. 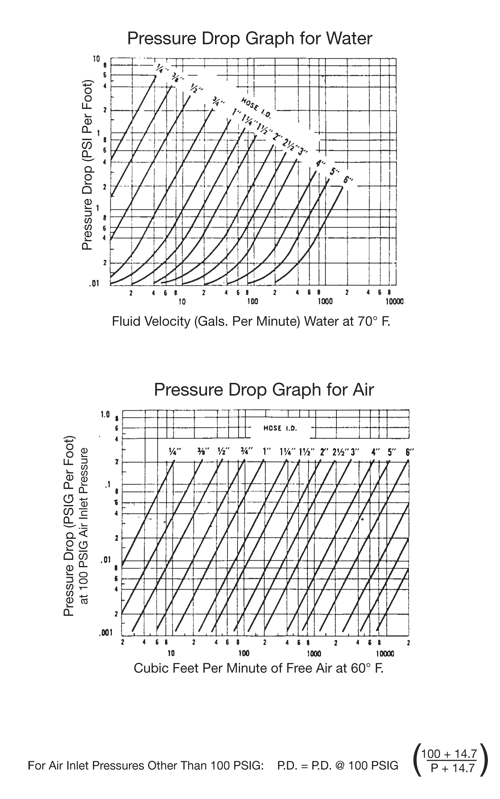 The following graphs are offered as aids in estimating pressure drop in corrugated hose conveying water and air. The values derived are approximate and apply only to straight line installations. Bends and fittings can increase the pressure drop. For more information on how velocity and pressure drop can impact gas and fluid delivery systems, visit our blog on this topic. Interested in an analysis of your application, or have questions about velocity and pressure issues? Contact us.